In 2008 I began work on a postdoctoral research project entitled Black Work, Green Money: Navigating the Bounds of Legal Labour in a Moscow Migrant Community, funded by an RCUK Research Fellowship, a small grant from the Nuffield Foundation and a Gibbs Travelling Fellowship from Newnham College, Cambridge. This project is an ethnographic exploration of the Russian migration regime as it is encountered, negotiated and co-produced by state officials, migration brokers and migrant workers from southern Kyrgyzstan. The project draws upon fieldwork in Batken region of Kyrgyzstan (2009-10) and Moscow city (2010) to bring an ethnographic perspective to debates about the meanings and consequences of transnational labour migration that have tended to be dominated by languages of migrant ‘integration’ and ‘adaptation’. This project has resulted in a series of articles in Russian and English in which I have explored the embededness of migration decisions within domestic economies and family relationships; the role of remittances in sustaining a growing ritual economy in Batken region; the gendered dynamics of migration and involuntary immobility, and the relationship between documentary indeterminacy and dynamics of racialization in Russia. In a more theoretical bent, I have explored the practice of ‘fictive hyperdocumentation’ as a way of moving beyond the ‘documented/undocumented’ dichotomy in discussions of contemporary migration, as well as seeking to bring considerations of movement and place-making within the same analytical frame in the analysis of Central Asian mobilities. 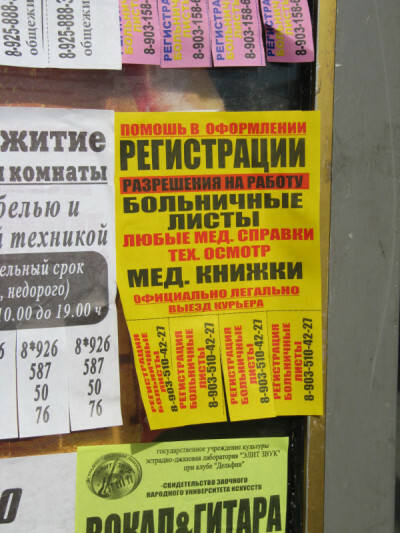 I have sought to bring the insights of this research into the public domain through commentaries on the economics of temporary housing in Moscow; the place of migration in the 2013 Moscow mayoral elections, and by curating a five-part series, Beyond the Gastarbaiter, for OpenDemocracy Russia in 2012.